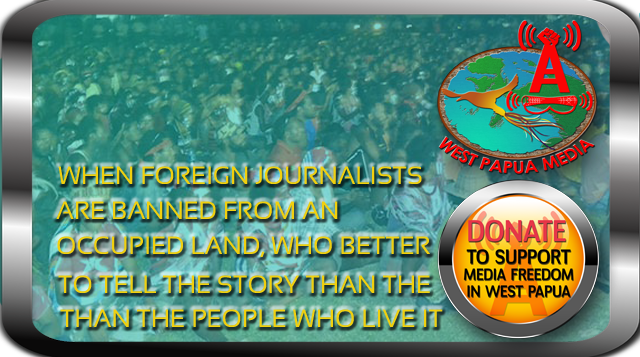 Due to a remote area vehicle accident with a kangaroo on June 7 in which the Editor of West Papua Media, Nick Chesterfield, sustained mild head and arm injuries, WPM has been unable to publish original investigations or content. We apologise for this, and Chesterfield will be working through the backlog during his recovery. Urgent breaking news will still be covered on our twitter and facebook feeds, and our partner Tabloid Jubi will continue to publish major breaking stories within Papua, with their feed available in the right hand sidebar on WPM. From July, sweeping changes are being made at WPM to allow more dynamic reporting to occur across a variety of platforms. Please stay tuned.